Put all the ingredients into a blender and blend till you get a fine paste. Adjust salt and sugar according to your taste. 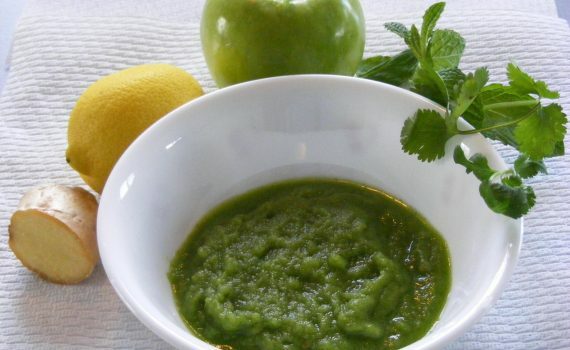 Serve the Green Apple Chutney with sandwiches, as a dip or as a salad dressing.